Is your flash disk show only link, when opening in windows operating system? If yes, then it is likely your flash drive infected with a virus. If you dual boot with archlinux or another linux distribution. It's easy to remove virus from flash disk. It will be like this, if opened from linux, theres strange file, just delete it. 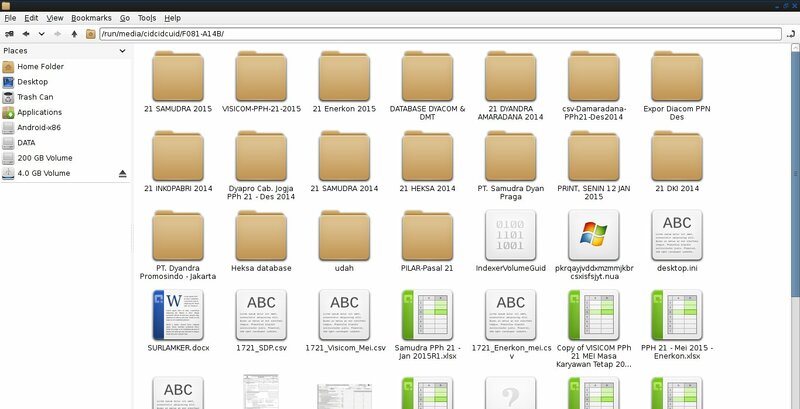 There is folder without name, your data it's on there, backup that.. :D, here's my file that hidden by virus. Name maybe different. 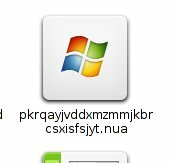 Now try insert in your windows operating system again. If it still show up, then the windows system still infected by virus. If the behaviour of virus like above, then it can be stopped by checking auto startup application in windows. Disable it by using cccleaner, then scan using your favourit antivirus. If the virus cannot be deleted/ cannot find by windows explorer or windows cmd, then using linux again, find that file.